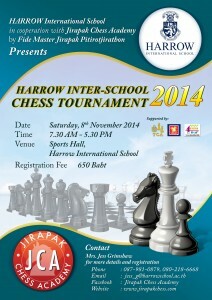 The Harrow Inter-School Chess Tournament 2014, organised in cooperation with Jirapak Chess Academy, takes place on Saturday, 8th November. 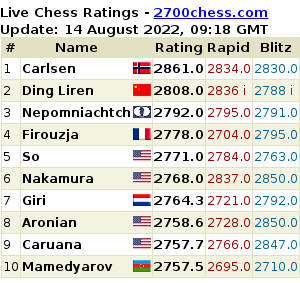 Categories: U7, U9, U11, U13, U16 and U19. Click the link here to register now (registration fee is 650 Baht) – first 200 players only! Contact Mrs. Jess Grimshaw for more details.